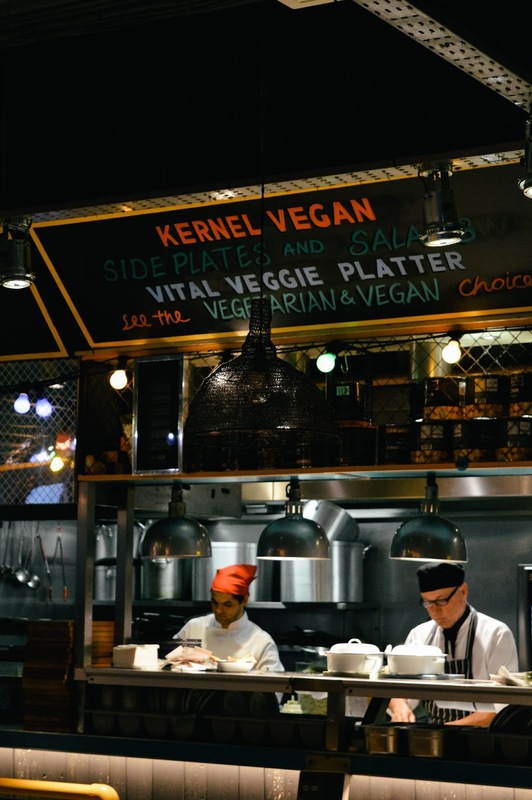 I was very excited to hear that my favourite Caribbean restaurant Turtle Bay has launched a new menu with exciting new dishes and more vegetarian and vegan options. 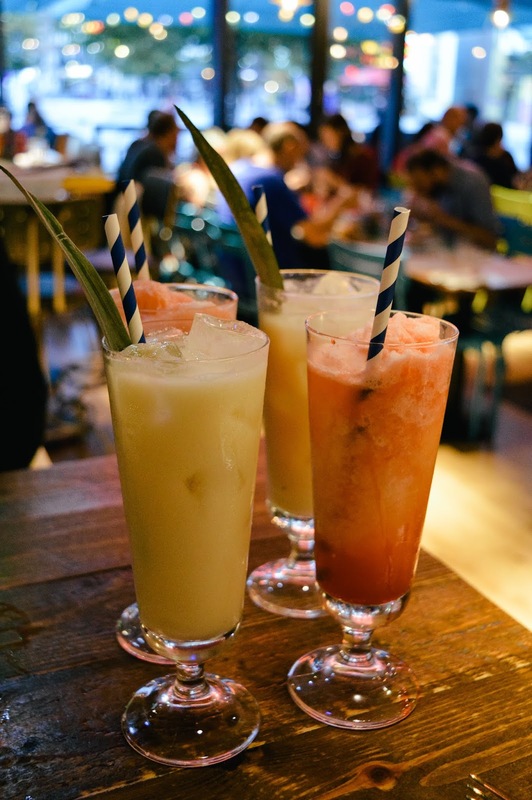 Caribbean cuisine is packed with flavour, their cocktails remind me of holidays in the sun, and their buzzing atmosphere is ever inviting. 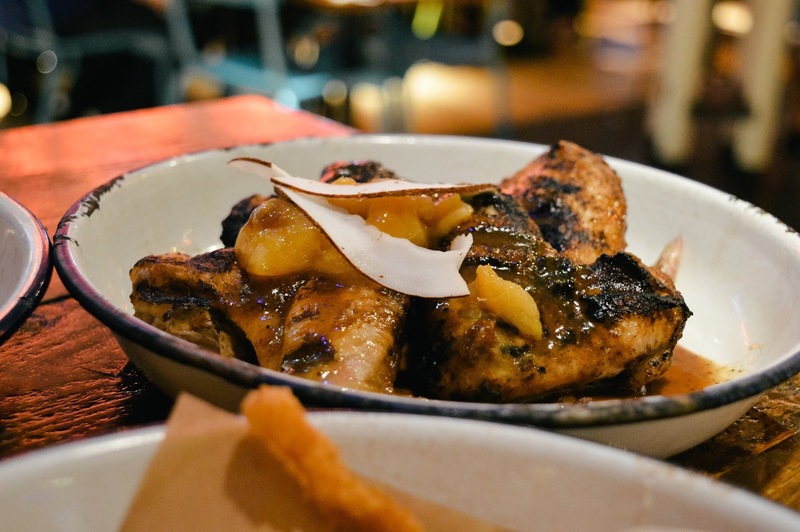 Although no stranger to Turtle Bay, I wanted to sample their new menu and try the improved favourites and staple Caribbean dishes. So my mum and I headed out for Friday night catch ups to indulge in some good-for-the-soul food and a change of scenery. 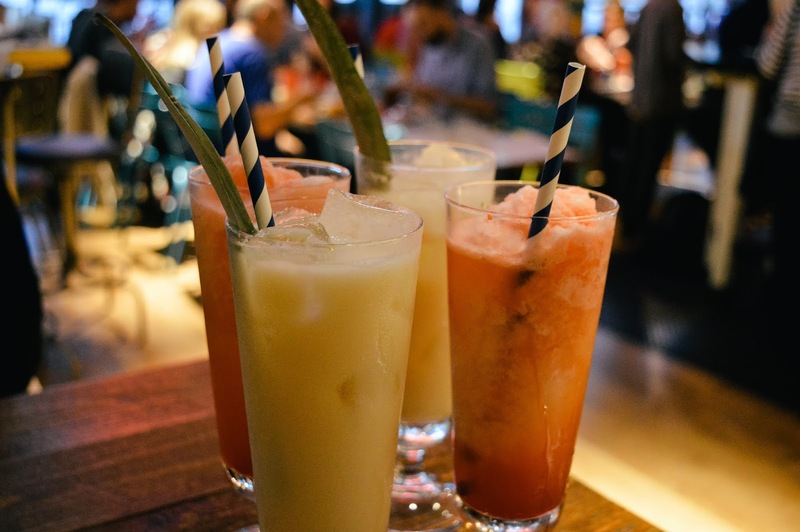 We kicked off the evening with a couple of mocktails - if you catch Happy Hour at Turtle Bay, all cocktails are 2-4-1 which is brilliant if you're having catch ups over cocktails or starting a night out. 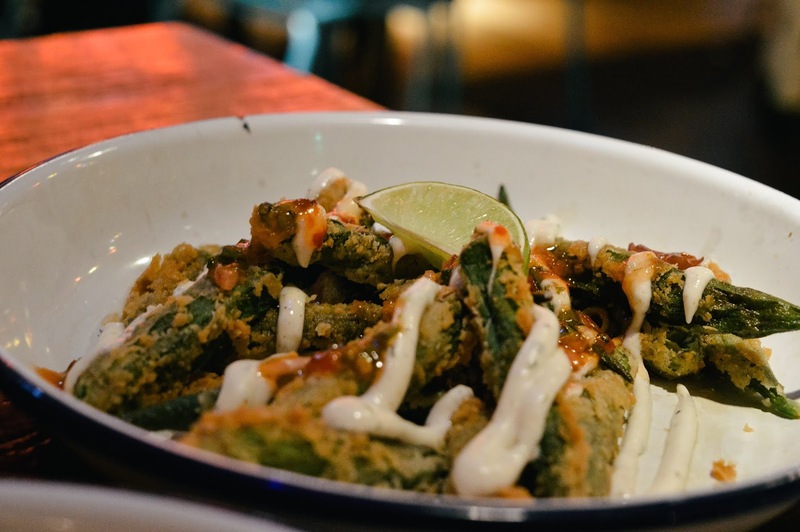 Grab a handful of cocktails and some nibbles to fuel up on before hitting the town! 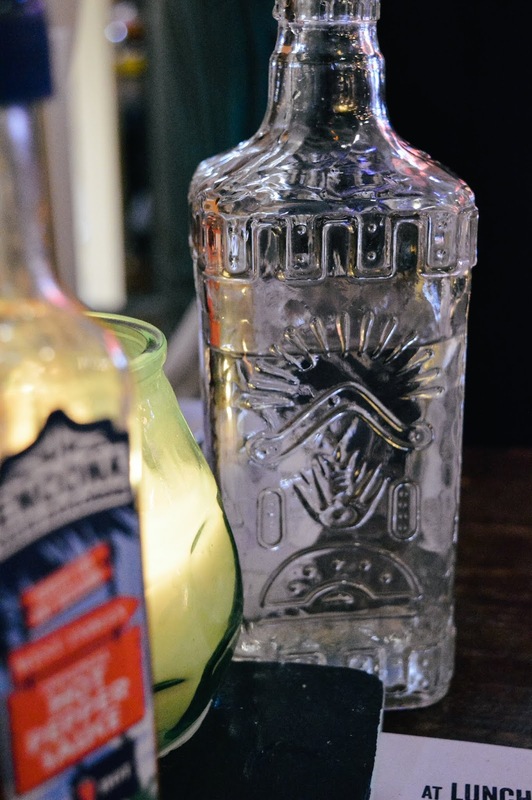 We shared Virgin Coladas and Reggae Sunsplash - a taste of summer right in front of us. 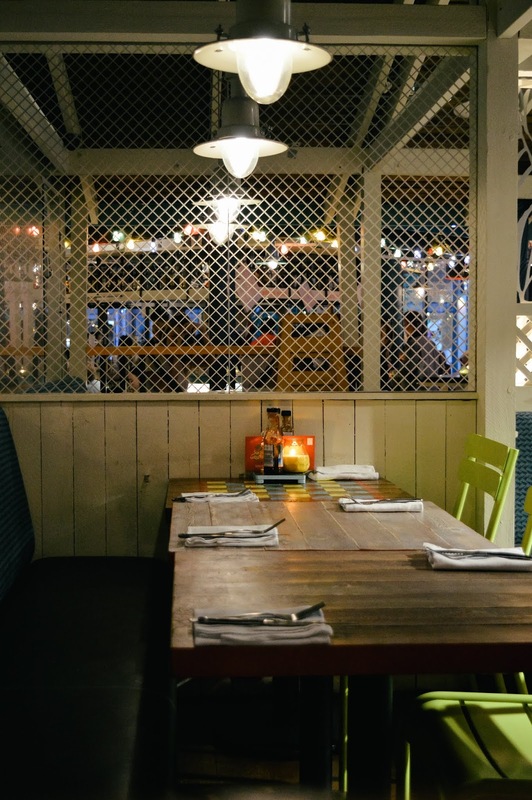 Turtle Bay always has a happy vibe with their spiced dishes and tropical cocktails - it's hard to be miserable in that environment! 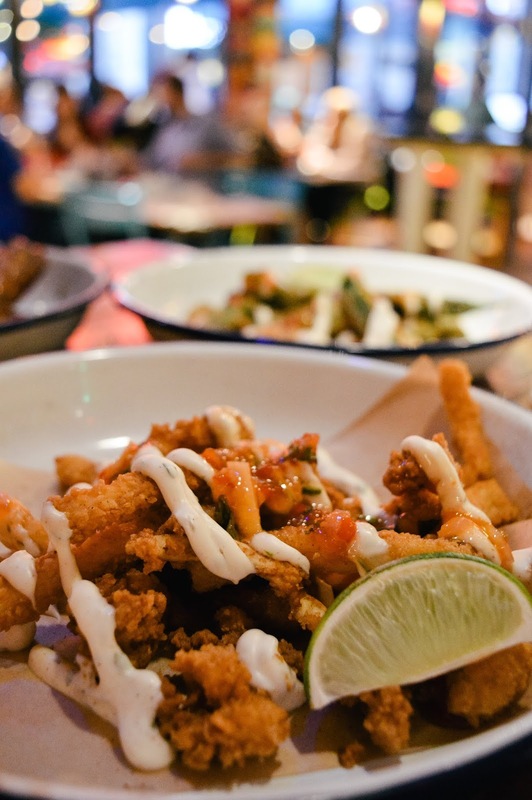 Our starters arrived - inspired by beach shacks and street vendors across the Caribbean islands, Turtle Bay offers a variety of small dishes which are perfect to share or have as side plates with mains. 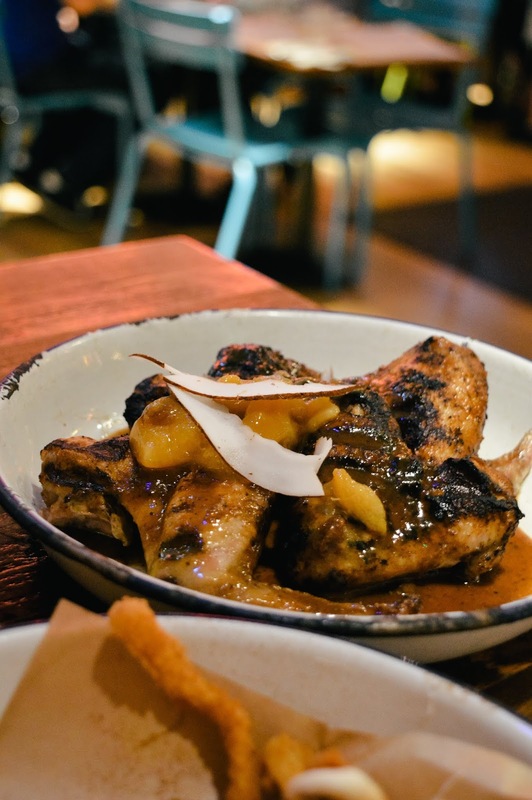 We chose to share Crispy Squid & Crispy Okra which are both coated in panic breadcrumbs and served with mango mole and jerk mayo; and jerk wings with spicy jerk glaze and sour orange chutney - because you can't go to a Caribbean eatery without having some jerk, it's a crime! I loved all three starters - jerk wings were delicious and the sour orange chutney perfectly complimented the spice of jerk seasoning; the okra was delicious and the perfect option for vegetarians because it's packed with flavour; and the crispy squid was delicious served with jerk mayo - full of flavour, soft on the inside and crispy on the outside just how squid should be. 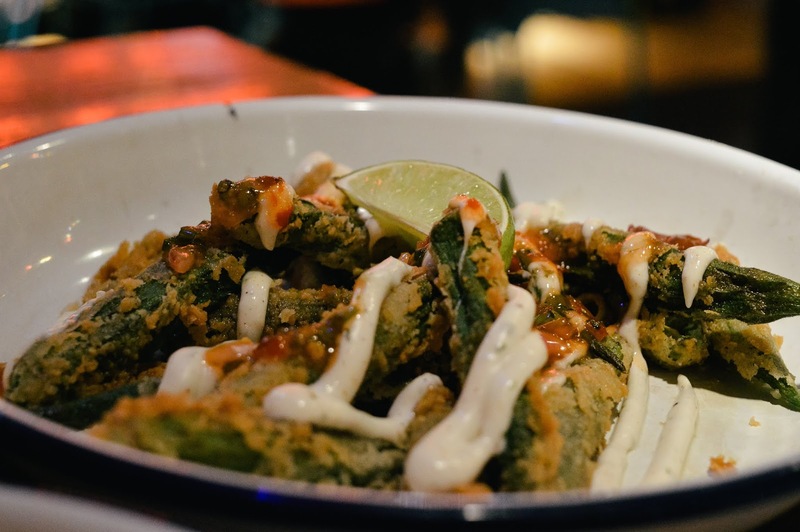 I love the idea of sharing a few small plates as a starter at the table - I think it's social and you get to try more flavours. Mum and I had a great time catching up over a few mocktails and our street food inspired starters. 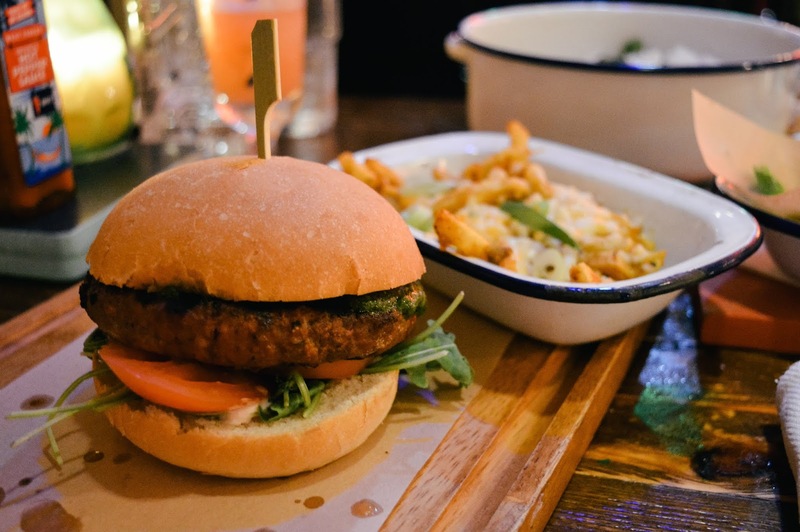 Moving on to the mains, we went for two very contrasting dishes - mum ordered the Chickpea & Callaloo Curry with tomatoes, garlic, scotch bonnet, steamed rice, and sweet plantain; and I ordered the Smoking Goat Burger with Dirty Curry Fries and Grilled Jerk Halloumi. 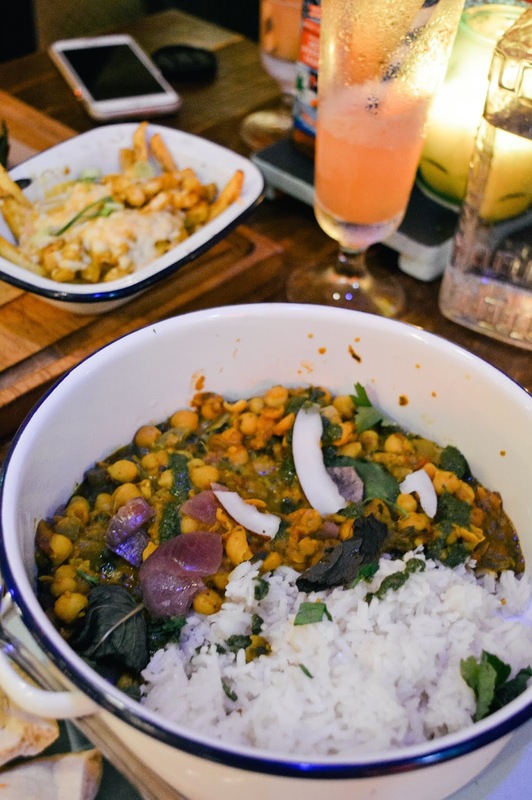 The chickpea curry is vegan - more people are switching to a vegan diet so it's great to see that restaurants are quickly picking up ideas for delicious vegan meals, so you no longer have to be picky about where to go. The curry was full of flavour, a hint of spice (not as spicy as you would expect with scotch bonnet! 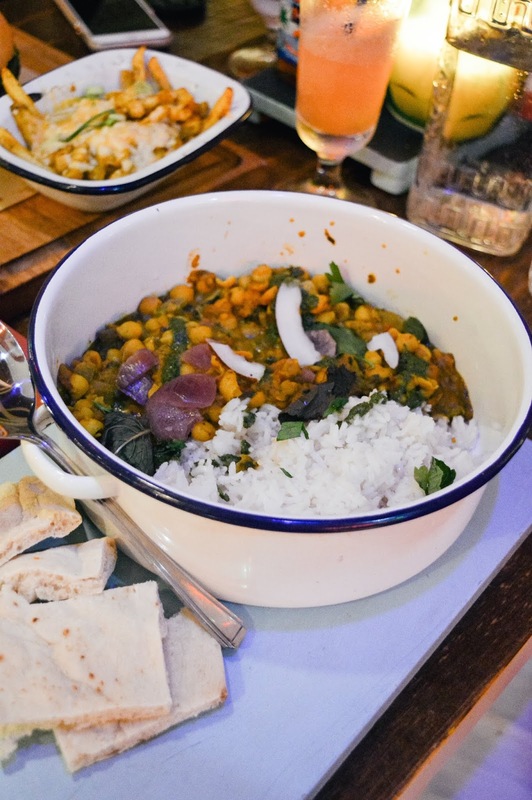 ), and I loved that you could get a hint of mint from the curry too - it really added an unexpected but welcome flavour. 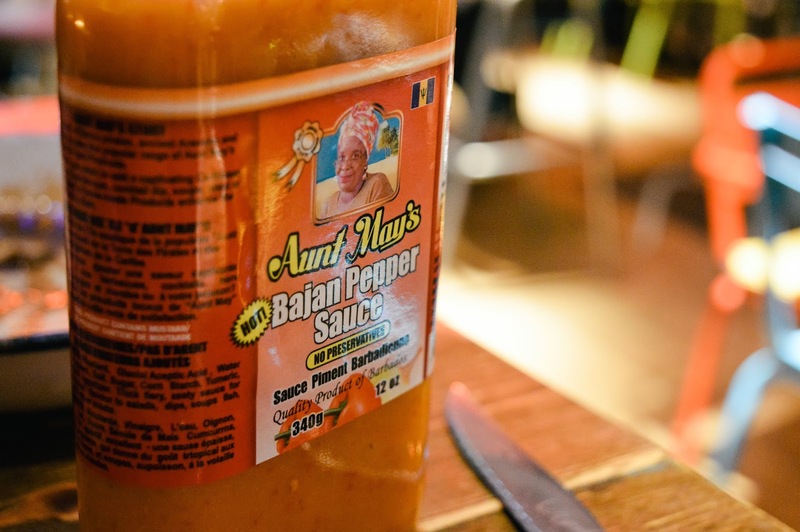 If you want to spice things up, alongside Encona's spicy hot sauces I discovered Aunt May's Bajan Pepper Sauce - it is one of the tastiest chilly sauces I have ever had, and am now on a mission to find it in a shop somewhere. It's spicy, salty, zesty - perfect with meat or vegetables! Yum. Seriously YUM. 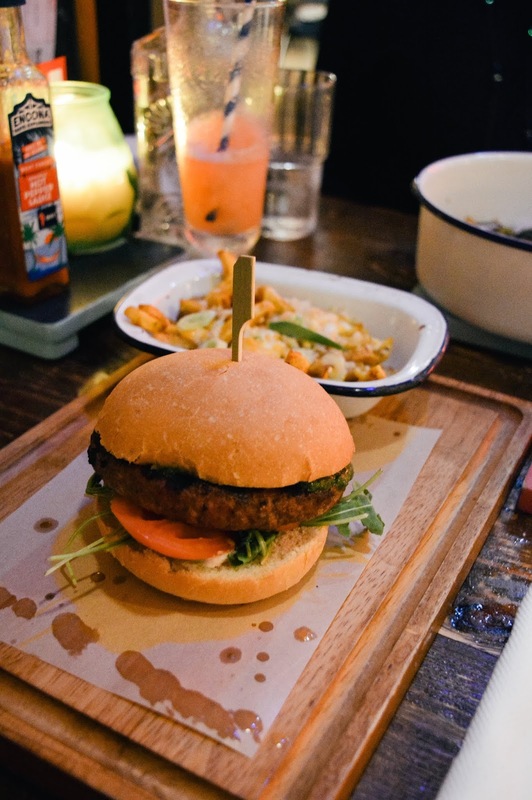 The goat burger was delicious and perfectly cooked - I know goat can be a tough meat sometimes, at home my fiancé Liam makes the perfect goat curry which stews for a couple of hours to go soft and tender. I've actually had a goat burger from a street market before and it was nice, but quite tough. 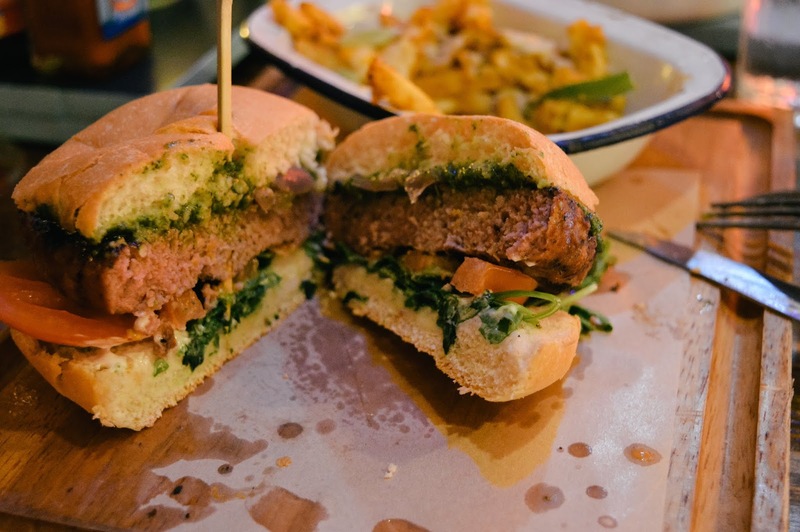 However, the Smoking Goat burger at Turtle Bay was juicy and tender - I later found out this is because the goat is mixed with a little bit of lamb to give it the tenderness and fuller flavour. 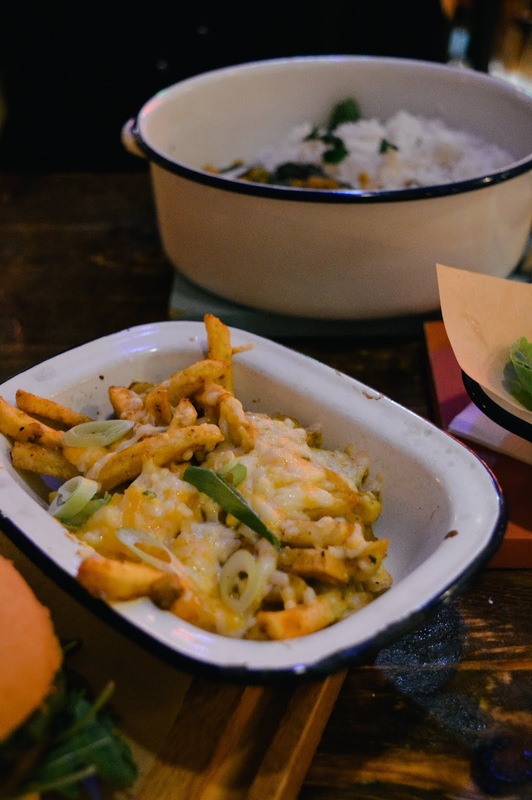 I chose my two perfect accompaniments to the burger - dirty curry fries because I love fries especially when they're topped with cheese and curry; and grilled jerk halloumi which is the perfect sharer on the table as everyone can get involved. We both absolutely loved our meals - mum is going to attempt to recreate the curry at home (lots of experimenting to be done as we spotted so many flavours!) and I will be recommending the goat burger to everyone. 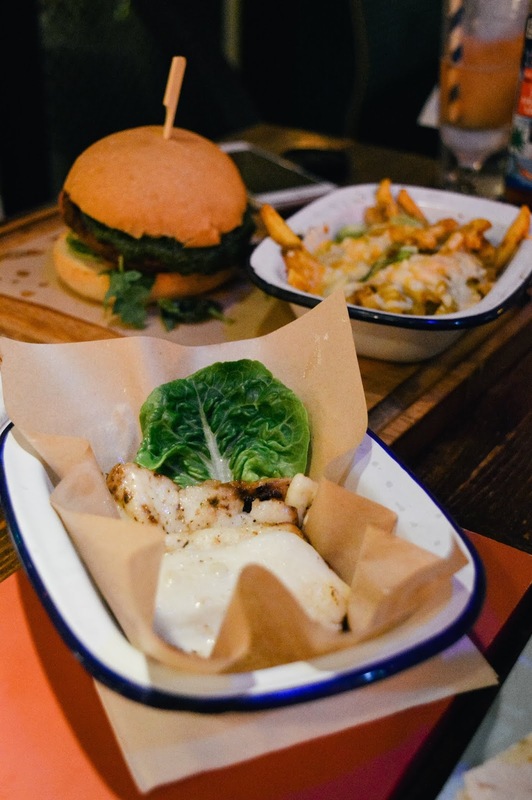 If you love a good burger, try something different and opt for goat at Turtle Bay! It's such an understated meat, yet so delicious. 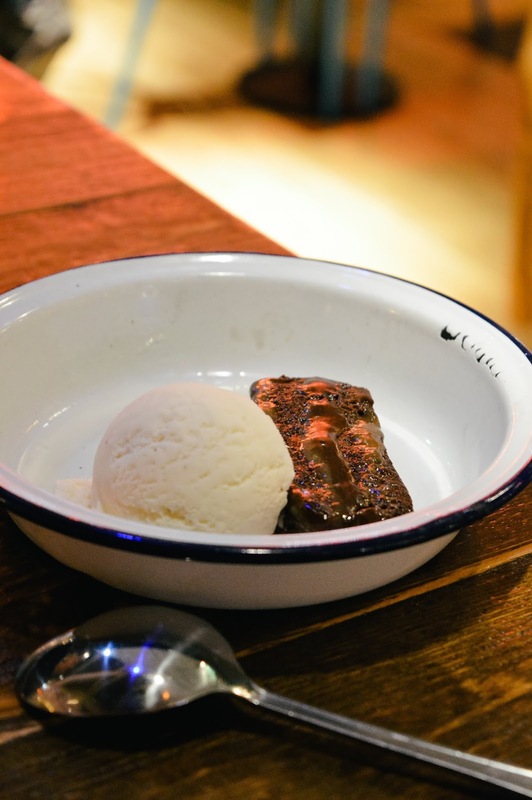 We finished the evening by sharing a Salted Caramel Brownie which is usually served with light chocolate ice-cream and is vegan; however the kitchen ran out of the ice-cream and offered us vanilla instead which we took as neither of us are vegans so it didn't make much of a difference to us. 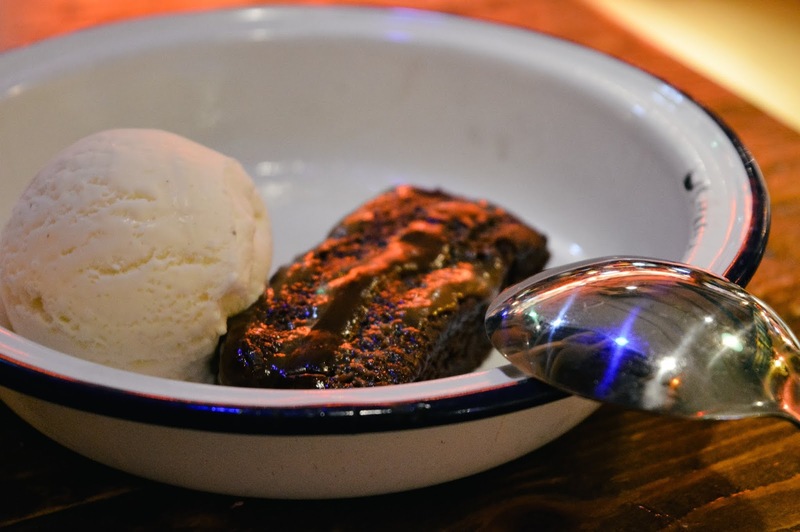 I love the desserts at Turtle Bay because they're small but pack a ton of flavour - the perfect end to a meal. 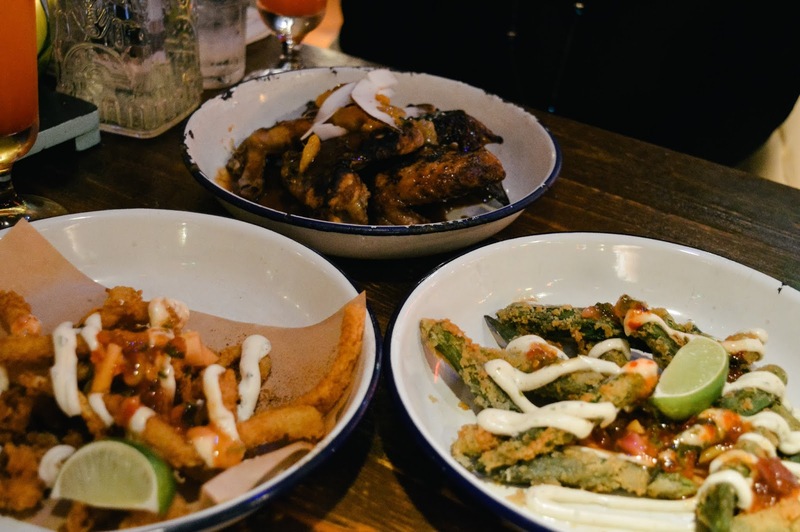 We loved trying some new dishes and improved classics from Turtle Bay in Southampton - I love Caribbean food, and mum fell in love with the flavours too, so I have no doubts we'll be back again soon. 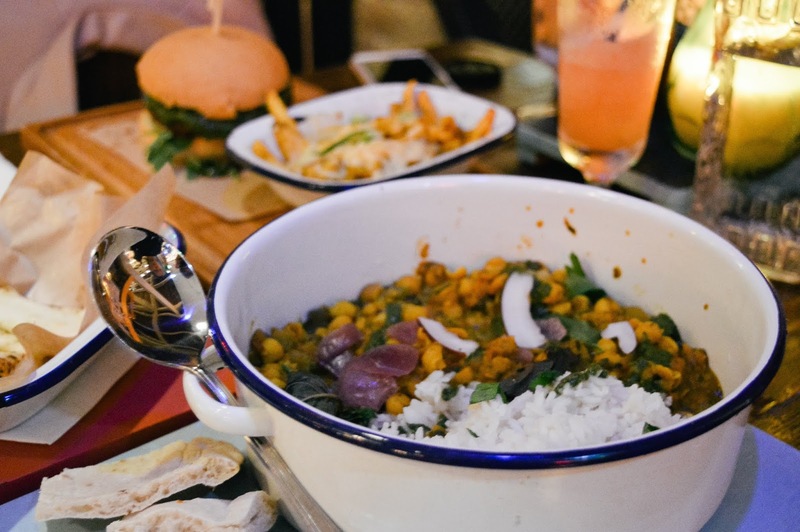 *The food and drink featured in this post was complimentary for review purposes from Turtle Bay. All views are my own.